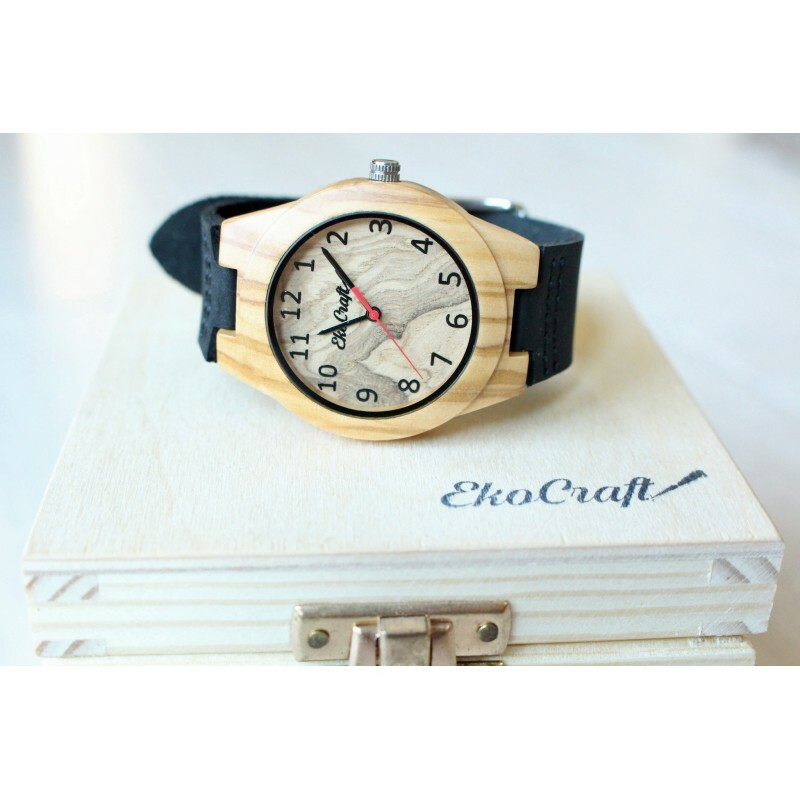 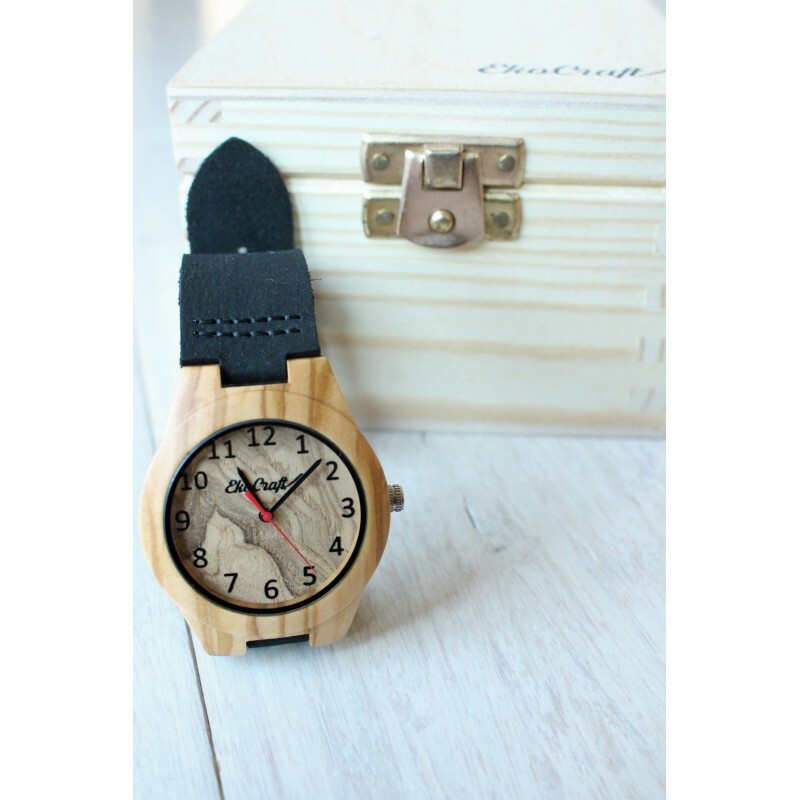 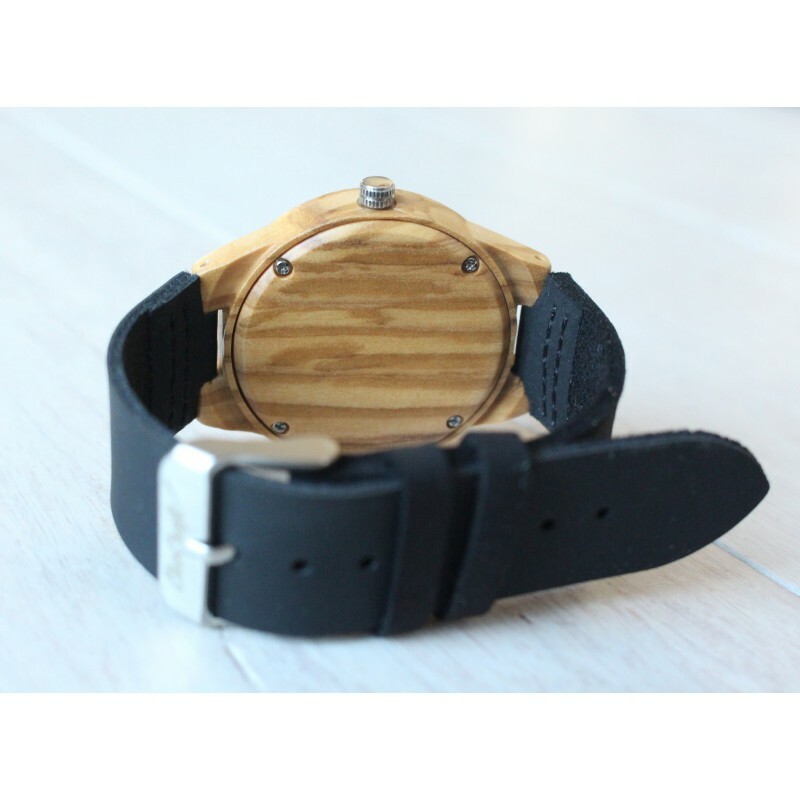 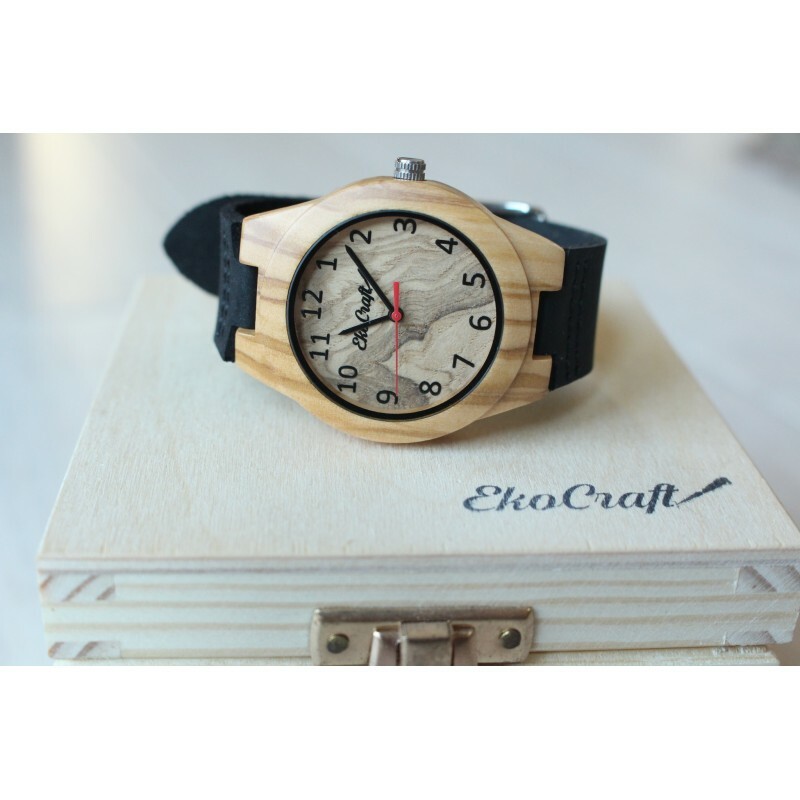 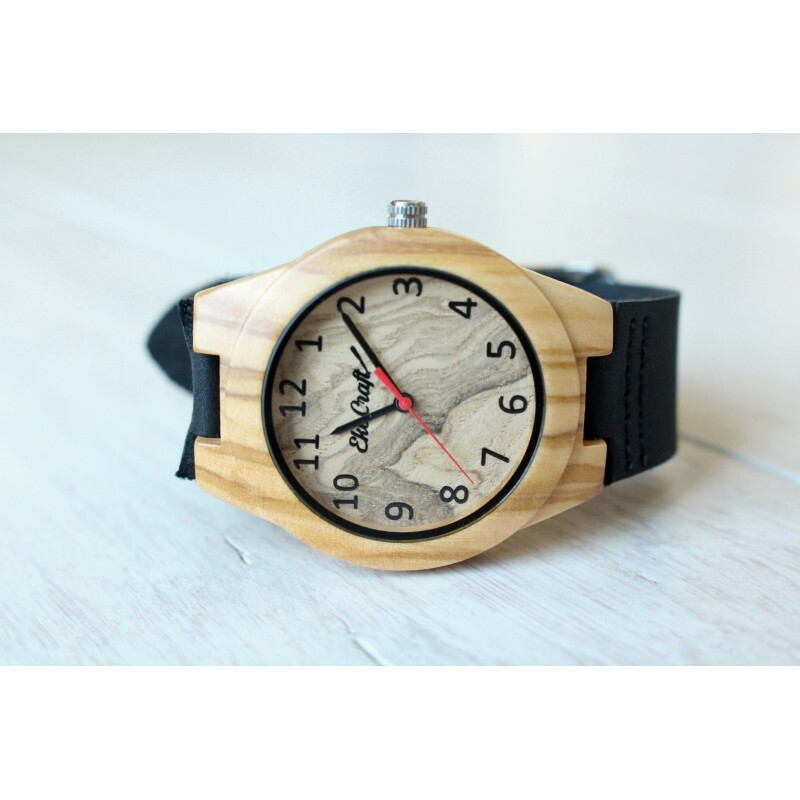 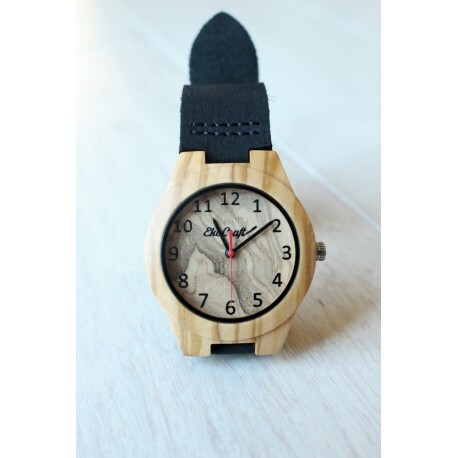 High quality olive wood watch with Japan quartz movement. 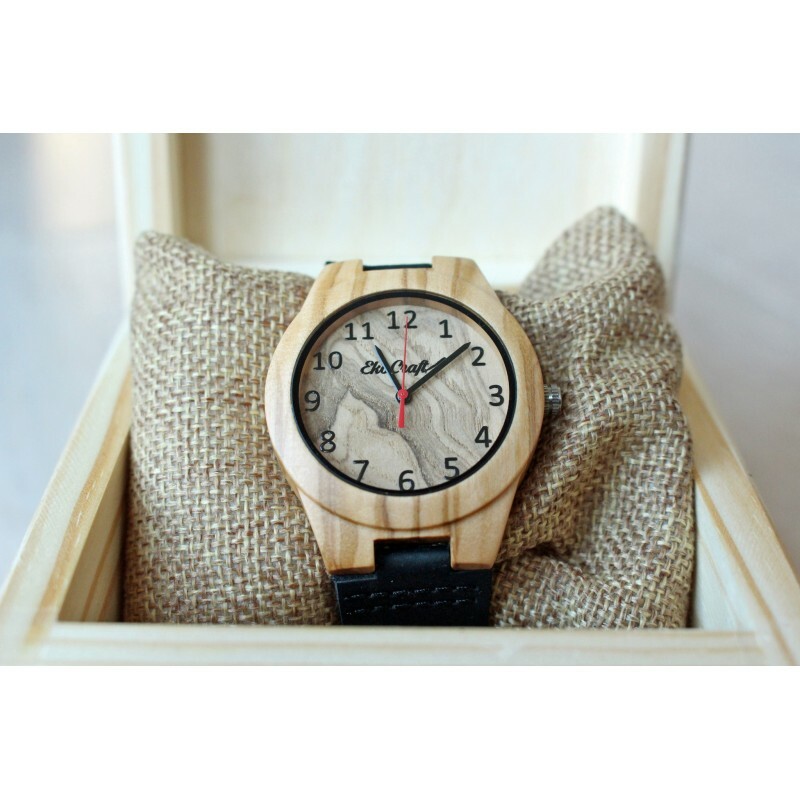 Dial of the watch is from olive wood with red second hand. 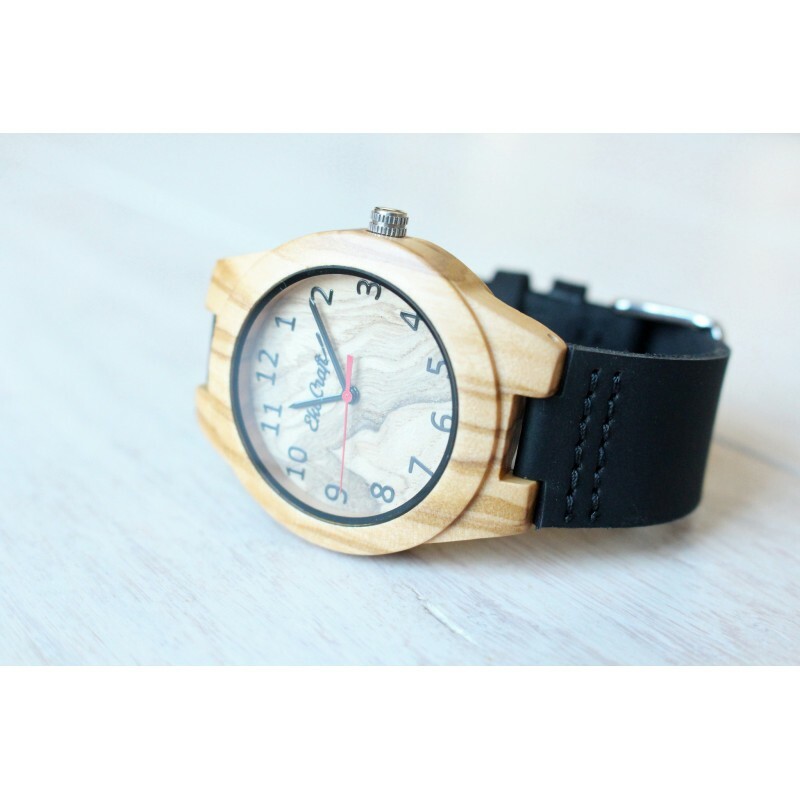 Diameter of the watch face 3,8 cm (about 1.5 inches ). 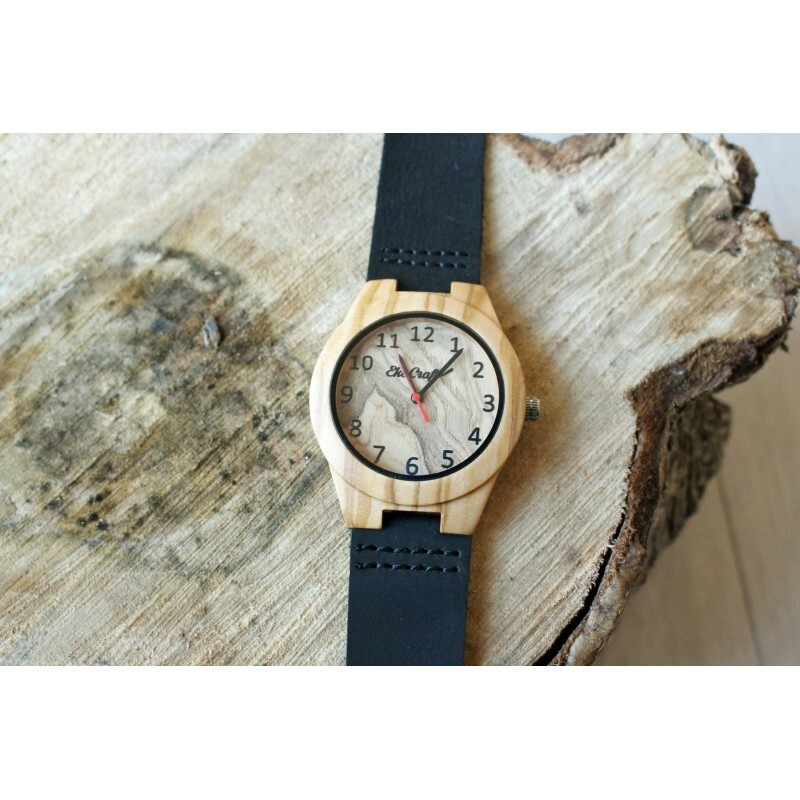 The watch strap (24cm long) is made of genuine black leather (we can change the strap color for brown or red).